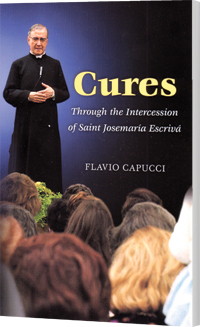 This compilation presents 18 miraculous favors obtained through the intercession of St. Josemaria Escriva using the testimony of those close to the events. St. Josemaria Escriva was born in Spain in 1902 and was ordained a priest in 1926. In 1928, he received the divine inspiration to found Opus Dei, a Catholic organization of lay people and priests who try to grow close to God through their ordinary lives. St. Josemaria died in 1975 and was canonized by Pope John Paul II in 2002.